FREDONIA, Ariz. — Recreational staff from the North Kaibab Ranger District of the Kaibab National Forest partnered with the Arizona Wilderness Coalition and a number of veterans who volunteered to spend several days in the forest, Aug. 15-19, working together to maintain trails in the Saddle Mountain Wilderness area. Since the release of its 2015-2020 Strategic Plan, the ranger district’s staff has taken on a “Deliver Benefits to the Public” challenge, implementing various projects throughout the summer. During the Saddle Mountain Wilderness project, Arizona Wilderness Coalition coordinator Brian Stultz and ranger district coordinator Denise Carpenter jointly hosted 10 veteran volunteers to three days of trail maintenance and hiking followed by four nights of rest and relaxation, dinners of burgers, pastas, fresh salads and three much-loved dutch-oven entrees cooked by Stultz – and campfire bonding. The trip helped him re-emerge with nature, Manci said. This came from both being cut off from the outside world and the camp’s activities, which included trail time, yoga, trauma release and meditation. Others, such as Marine Corps veteran John Morgan, said they enjoyed their time so much they would consider revisiting in the future. Throughout the week, volunteers camped in a water-and-electric free environment alongside Forest Service Road 611, just a few miles from the three trailheads. Each day, the crew began with morning yoga, breakfast and a short hike before the work of cutting trees and trail brushing began. 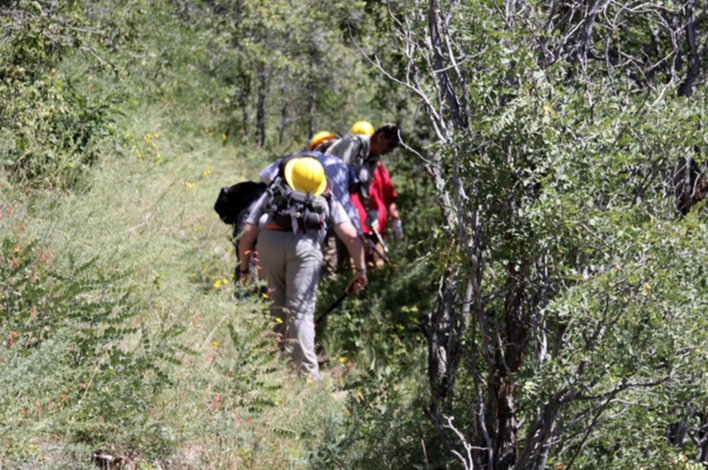 Throughout the days, the veteran crew worked alongside personnel from the North Kaibab Ranger District and the Arizona Wilderness Coalition. 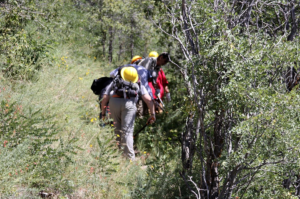 Together they improved about 3.5 miles of the North Canyon Trail, clearing a 10-by-12-foot-wide corridor to accommodate pack horses, and an additional 1.6 miles on the Saddle Mountain Trail. “This crew did remarkably well for their first time doing this type of work together,” Carpenter said. When everything was said and done, Glessing said, the organizations involved in the project were very helpful and knowledgeable about forestry, land management and ecology. 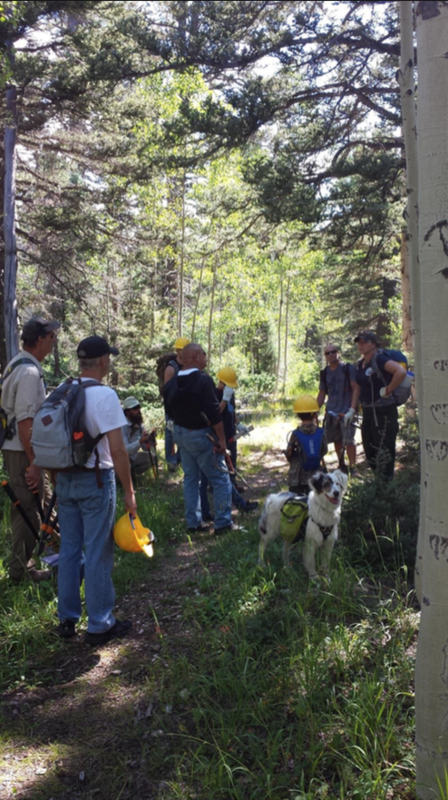 The Kaibab National Forrest is fortunate to have such dedicated and enthusiastic volunteers helping to maintain trails for future generations, Ranger District Recreation Staff Officer Melissa Robinson said.